Graphs show us information without using unnecessary words. 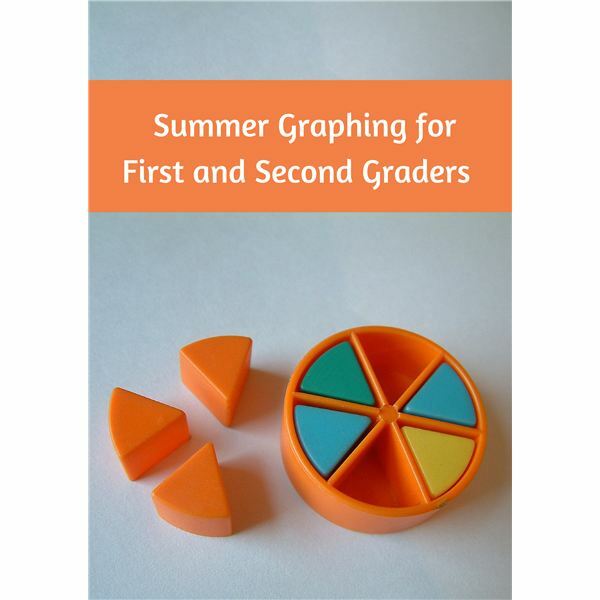 There are varieties of graphs: bar graphs, line graphs, circle graphs and pictographs. Children will be able to answer questions, solve problems and see patterns. Creating graphs together is also fun! Use a paper plate to make a pie chart. If you would rather print out some custom graphs, the National Center for Education Statistics offers a free tool to help you. A link to the website is in the References section. You saw the most plates from which state? The least amount? How many different plates did you see? Choose two different states and add them together. Designate a time period and keep track of the colors of cars that you see. Use the same procedure as above but use corresponding crayons to match the colors of the cars. Vary it by counting kinds of trucks or RVs. Depending on where you go on vacation, find something else to study: kinds of seashells, colors of bathing suits, types of foods eaten, zoo animals, etc. With a pad and paper take a walk around the neighborhood and write down the animals that you see. Remember to include bugs or birds. Then use the information to make a pictograph. Write the name of the animal and draw one picture for each one that you saw. Which animal was seen the most? The least? Do the same thing, but this time notice the colors of houses. Draw a little house for each color that you saw. Keep track of the high temperature each day for a week or two. Then make a line graph to see if the temperatures changed greatly or remained the same. Put temperature on the left side going up vertically and “Day 1, Day 2, etc.” across the bottom of the graph. Place a dot on the temperature each day and then connect the dots with a ruler. What day was the hottest? The coolest? Keep track of how you spent your time during a 24-hour period. (Sleeping, playing, eating, watching TV, etc.) Then use a paper plate to make a pie chart. Use spaghetti noodles glued in place to mark each section. What activity took up the most time? The least? Find some age appropriate books that teach children about using graphs to gather and understand information. For example, Tiger Math shows real world use of graphs to show the growth of an orphaned tiger cub. Children also learn about the Siberian tiger. The References section provides several good choices that you can find in a library or on a book-selling website. Murphy, Stuart. Tally O’Malley. Harper Collins, 2004. Murphy, Stuart. Lemonade For Sale. Harper Collins, 1997. Nagda, Ann Whitehead. Tiger Math. Henry Holt, 2000. Leedy, Loreen. The Great Graph Contest. Holiday House, 2006.